A study of climate change denial”, is now collecting the world’s foremost researchers in this area. In the project, the network will examine the ideas and interests behind climate change denial, with a particular focus on right-wing nationalism, extractive industries, and conservative think tanks. “Climate change is an existential question for all society. We have these insights, but we come into conflict with them. Therefore, it is important to understand the mechanisms behind different forms of climate change denial, and how this influences the debate and political decisions,” says Associate Professor Martin Hultman, from Chalmers University of Technology, Sweden. But the new effort to study “conservatism” and climate “denial” ignores the many politically left scientists who are now leading the charge against man-made climate change claims. 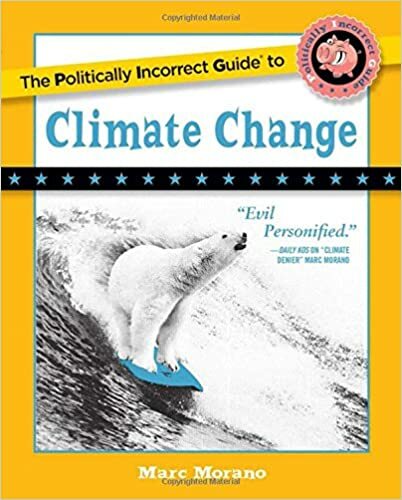 Editor’s Note: The following is an excerpt from author Marc Morano’s new 2018 best-selling book, The Politically Incorrect Guide to Climate Change. The section below deals with politically left-wing scientists who are outspoken climate skeptics. Not only are already skeptical scientists speaking out because of the smears and attempted intimidation. More and more scientists—including many on the political Left—have reexamined the evidence for man-made global warming claims and reversed their views. Award-winning geophysicist and French politician Claude Allègre was one of the first scientists to warn about the dangers of global warming. Allègre, a member of both the French and U.S. Academies of Science, has authored more than one hundred scientific articles, written eleven books, and received numerous scientific awards including the Goldschmidt Medal from the Geochemical Society of the United States. Allègre was one of fifteen hundred scientists who signed a November 18, 1992, letter titled “World Scientists’ Warning to Humanity,” arguing that the “potential risks” were “very great.” But in recent years Allègre has taken another look at the evidence and reversed himself. He is now France’s most outspoken global warming skeptic. 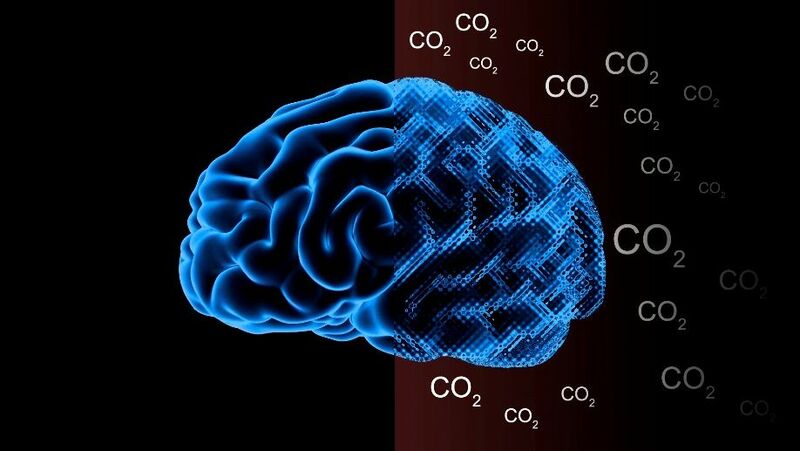 “The CO2 is in a very short proportion in the atmosphere. But my point is nothing has proved this is man-made climate change,” Allègre said in a French TV interview. The Nobel physicist questioned the basis for rising carbon dioxide fears. “When you have a theory and the theory does not agree with the experiment then you have to cut out the theory. You were wrong with the theory,” Giaever explained. Giaever resigned from the American Physical Society to protest the group’s promotion of man-made climate change. “I resigned from the American Physical Society because of this statement. ‘The evidence is incontrovertible.’ That’s religion, That’s a religious statement…. The temperature has been amazingly stable, and both human health and happiness have definitely improved in this ‘warming’ period,” Giaever said. “We have to stop wasting huge, I mean huge amounts of money on global warming,” he added. But he is not a fan of Gore’s film. After viewing An Inconvenient Truth, Giegengack said, “I was appalled. I was appalled because he either deliberately misrepresented the point he was making or didn’t understand it. 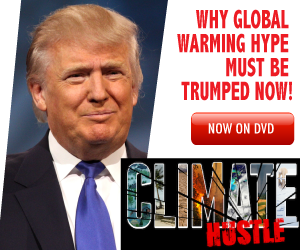 So it was irresponsible of Al Gore.” As we have already seen from the interview of Giegengack I did for my film Climate Hustle, the Ivy League scientist sees nothing in the geological record to justify the belief that CO2 controls the climate. “It was too bad, because I thought Al Gore had a brilliant opportunity that he blew it,” Giegengack said. “He could have done us all a real service, and what he chose to do instead was to polarize the argument. And I think the polarity in the argument really began with the Al Gore film,” he added. Former Greenpeace member, Finnish scientist Jarl R. Ahlbeck of Åbo Akademi University, who has authored two hundred scientific publications, is also a climate dissenter. “So far, real measurements give no ground for concern about a catastrophic future warming,” he explained. Climate statistics professor Caleb Rossiter of American University is an outspoken anti-war activist with a flawless progressive record on a range of political issues. He is a former Democratic congressional candidate who campaigned against U.S.-backed wars in Central America and Southern Africa. “I’ve spent my life on the foreign-policy left. I opposed the Vietnam War, U.S. intervention in Central America in the 1980s and our invasion of Iraq. I have headed a group trying to block U.S. arms and training for ‘friendly’ dictators, and I have written books about how U.S. policy in the developing world is neocolonial,” he said. Rossiter is also outspoken about being a global warming skeptic. “My blood simply boils too hot when I read the blather, daily, about climate catastrophe. It is so well-meaning, and so misguided,” Rossiter, an adjunct professor in American University’s Department of Mathematics and Statistics, explained. He is particularly frustrated by the impact on the world’s poor. “Climate Justice in limiting carbon dioxide emissions is a crime against Africa, and it’s what motivated me to get involved again in this debate,” he said. Rossiter dismisses CO2 as the climate control knob. “We always, as humans, are looking for cause-and-effect, but it’s extremely difficult to find it in a complex system like the Earth’s climate over thousands of years,” he explained. Rossiter dismissed Gore’s winning of the Nobel Peace Prize as the “worst Nobel Prize for peace since Henry Kissinger.” Rossiter chastised his colleagues on the political Left for “hopping into bed” with Gore when it comes to climate change. “I know why the Left is supporting Al Gore on this when they didn’t on anything else, it’s because it gives them the lever to move away from an industrial society to what they call a postindustrial society,” he said. When Rossiter called global warming “unproved science” in a Wall Street Journal op-ed, he found that his credentials as a long-time progressive could not protect him from the consequences of his climate skepticism. Stott has described in vivid terms how futile attempting to control the climate would be. “I want you to think of the world. I want you to think of the world from inner Siberia, to Greenland, then to Singapore, and then come to the Arab states and to Sahara. Ladies and gentlemen, in the temperature range I have just covered, it is from minus 20 degrees C, to nearly 50 degrees C, a range of 70 degrees C, in which humanity has adapted and learnt to live. We are talking about…a prediction of 2 to 3 degrees C, what a funk!” Stott explained. “Humanity lives successfully from Greenland to Singapore to Saudi Arabia. 70 degrees C. And what is more, the carbon reductions will not produce an outcome that is predictable.” He contended “I would love to be able to think we can control climate, when of course it is indeed going to have to be adaptation, flexibility put to an outcome that we don’t know ’cause I actually don’t know what climate they’re wanting to produce for us. And actually ,I don’t think they know either,” Stott said. Martin Hertzberg, a retired Navy meteorologist with a Ph.D. in physical chemistry, has also diverged from his progressive colleagues on man-made climate change. “As a scientist and life-long liberal Democrat, I find the constant regurgitation of the anecdotal, fear mongering clap-trap about humancaused global warming to be a disservice to science,” Hertzberg wrote. End “The Politically Incorrect Guide to Climate Change,” book excerpt.